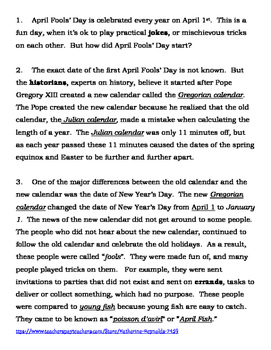 This is a two page reading passage is about the history of April Fools' Day. It is written on a 4th to 5th grade level. 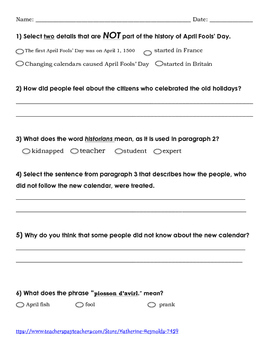 The comprehension questions are written in FSA format. 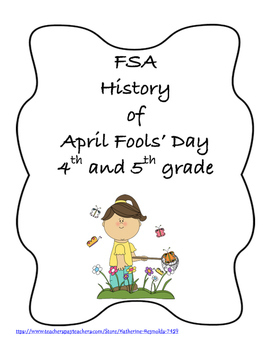 It is a perfect activity that will give your students some practice answering questions in the FSA format.